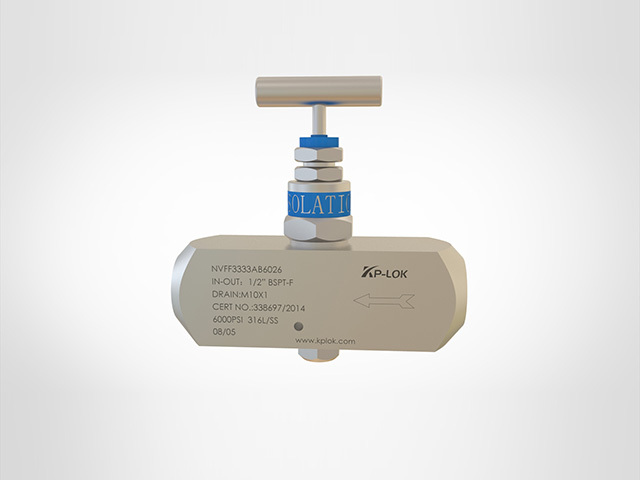 Needle valves, stainless steel needle valves, high pressure needle valve - Kp-Lok Houston Inc.
Needle valves are similar to globe valves. They are used to begin, prevent, and regulate the flow rate within a pipeline. Our high pressure needle valve will do all these works. Needle valves are designed differently. Unlike globe valves, which have a disc, needle valves have a tapered, long, needle-like point at the end of the valve stem. This is generally referred to as the plunger. These valves also have a handwheel or a little handle placed on the plunger that controls the positions the position of the plunger. The valves needle-like plunger fits into the seat. Because of this special design, stainless steel needled valve can accurately and precisely control how much fluid passes via the valve. Needle valves are generally used to manage flow and save delicate gauges from damage caused by sudden force surges of gases and liquids. They are perfect for systems using lighter and less vicious materials with low flow rates. Needle valves are generally used in low-force hydraulic systems, liquid, and gas services. This valve can also be applied to top-temperature and oxygen service based on their materials. High pressure needle valves are generally made of bronze, stainless steel, or metal alloys. It is vital to pick a needle valve with the material that is top suited for the service you need. This will support to preserve that valves service life and keeps your systems running perfectly and safely. Stainless steel bar is standard on all alloy 400 body valves and SS316. Black aluminum bar handles are generally carbon steel on standard. Other materials are accessible as an option.